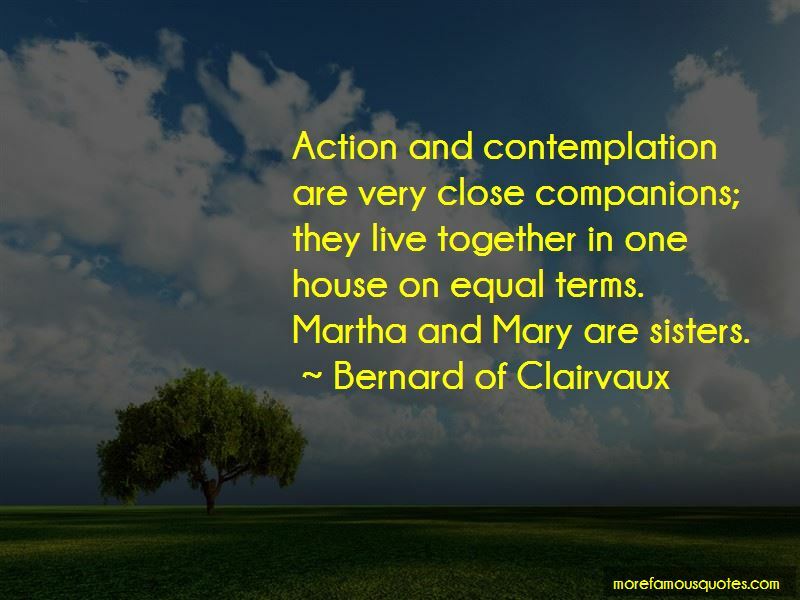 Enjoy the top 122 famous quotes, sayings and quotations by Bernard Of Clairvaux. There is no greater misery than false joys. Vines and trees will teach you that which you will never learn from masters. So far from being able to answer for my sins, I cannot even answer for my righteousness! Learn the lesson that, if you are to do the work of a prophet, what you need is not a sceptre but a hoe. 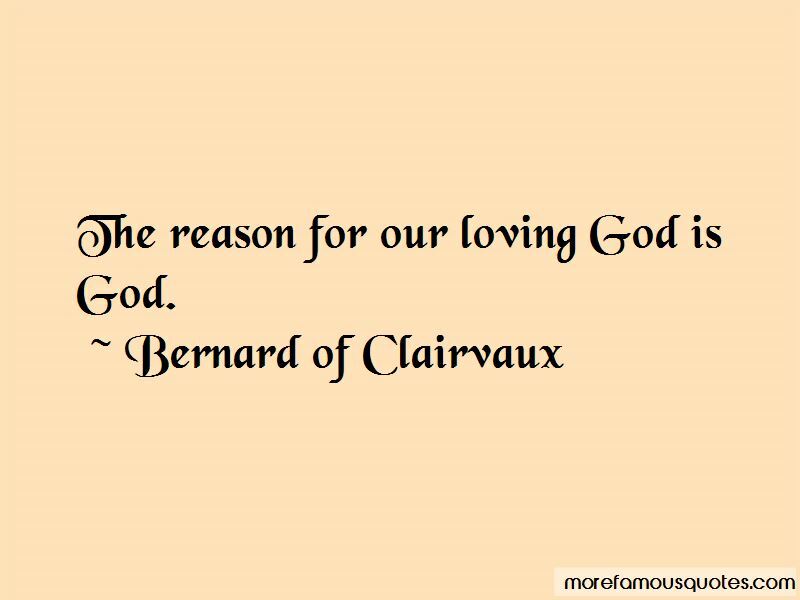 The reason for loving God is God Himself. As to how He is to be loved, there is only one measure: It is immeasurable! The rivers of Grace cannot flow uphill, up the steep cliff of the proud man's heart. Many appear full of mildness and sweetness as long as everything goes their own way; but the moment any contradiction or adversity arises, they are in a flame, and begin to rage like a burning mountain. Such people as these are like red-hot coals hidden under ashes. This is not the mildness which Our Lord undertook to teach us in order to make us like unto Himself. First learn to love yourself, and then you can love me. Let us not imagine that we obscure the glory of the Son by the great praise we lavish on the Mother; for the more she is honored, the greater is the glory of her Son. There can be no doubt that whatever we say in praise of the Mother gives equal praise to the Son. Humility is, of all graces , the chiefest when it does not know itself to be a grace at all. Prostrate, see Thy cross I grasp,And Thy pierced feet I clasp;Gracious Jesus, spurn me not;On me, with compassion fraught,Let Thy glances fall.Thy cross of agony,My Beloved, look on me;Turn me wholly unto Thee;"Be thou whole," say openly:"I forgive thee all. 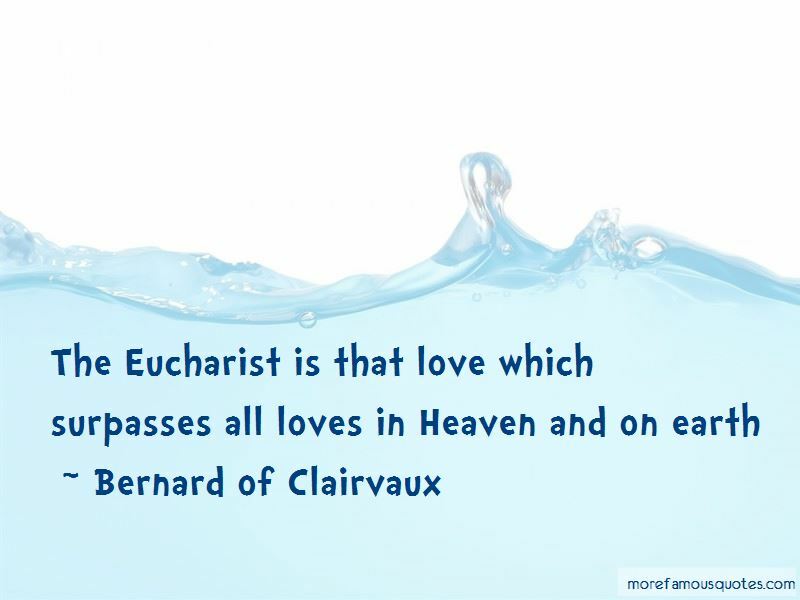 Want to see more pictures of Bernard Of Clairvaux quotes? 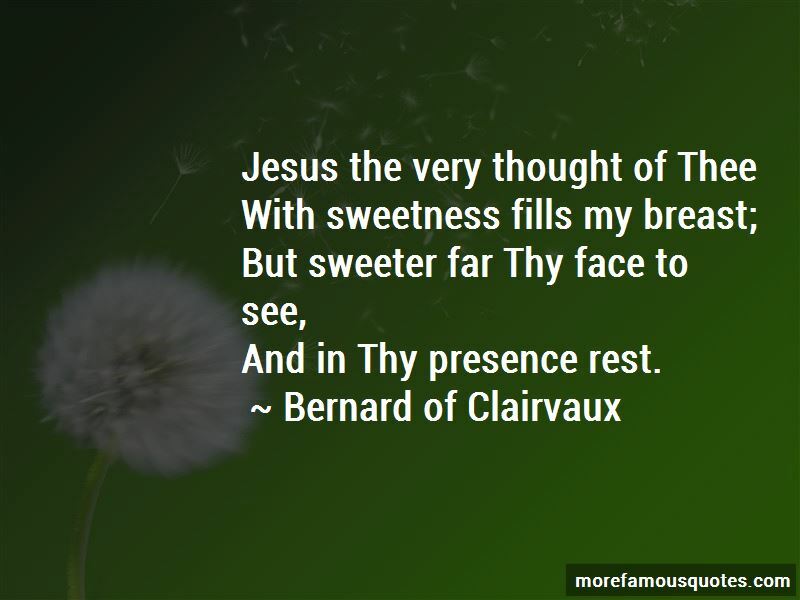 Click on image of Bernard Of Clairvaux quotes to view full size.